Kratos : To earth's remotest limit we come, to the Skythian land, an untrodden solitude. And now, Hephaistos, yours is the charge to observe the mandates laid upon you by the Father [Zeus]--to clamp this miscreant [the Titan Prometheus] upon the high craggy rocks in shackles of binding adamant that cannot be broken. For your own flower, flashing fire, source of all arts, he has purloined and bestowed upon mortal creatures. Such is his offence; for this he is bound to make requital to the gods, so that he may learn to bear with the sovereignty of Zeus and cease his man-loving ways. Hephaistos : Kratos (Power) and Bia (Force), for you indeed the behest of Zeus is now fulfilled, and nothing remains to stop you. But for me--I do not have the nerve myself to bind with force a kindred god upon this rocky cleft assailed by cruel winter. Yet, come what may, I am constrained to summon courage to this deed; for it is perilous to disregard the commandments of the Father . . .
Kratos : Well, why delay and excite pity in vain? Why do you not detest a god most hateful to the gods, since he has betrayed your prerogative to mortals? Hephaistos : A strangely potent tie is kinship, and companionship as well. Kratos : I agree; yet to refuse to obey the commands of the Father; is this possible? Do you not fear that more? 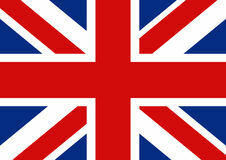 Hephaistos : Yes, you are ever pitiless and steeped in insolence. Kratos : Yes, for it does not good to bemoan this fellow. Stop wasting your labor at an unprofitable task. Hephaistos : Oh handicraft that I hate so much! Kratos : Why hate it? Since in truth your craft is in no way to blame for these present troubles. Hephaistos : Nevertheless, i wish it had fallen to another's lot! Kratos : Every job is troublesome except to be the commander of gods; no one is free except Zeus. Hephaistos : I know it by this task; I cannot deny it. Kratos : Hurry then to cast the fetters about him, so that the Father does not see you loitering. Hephaistos : Well, there then! The bands are ready, as you may see. Kratos : Cast them about his wrists and with might strike with your hammer; rivet him to the rocks. 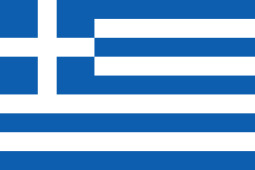 Hephaistos : There! The work is getting done and not improperly. Kratos : Strike harder, clamp him tight, leave nothing loose; for he is wondrously clever at finding a way even out of desperate straits. Hephaistos : This arm, at least, is fixed permanently. Kratos : Now rivet this one too and securely, so that he may learn, for all his cleverness, that he is a fool compared to Zeus. Hephaistos : None but he could justly blame my work. Kratos : Now drive the adamantine wedge's stubborn edge straight through his chest with your full force. Hephaistos : Alas, Prometheus, I groan for your sufferings. Kratos : What! Shrinking again and groaning over the enemies of Zeus? Take care, so that the day does not come when you shall grieve for yourself. Hephaistos : You see a spectacle grievous for eyes to behold. Kratos : I see this man getting his deserts. Come, cast the girths about his sides. Hephaistos : I must do this; spare me your needless ordering. Kratos : Indeed, I'll order you, yes and more--I'll hound you on. Get down below, and ring his legs by force. Hephaistos : There now! The work's done and without much labor. Kratos : Now hammer the piercing fetters with your full force; for the appraiser of our work is severe. Hephaistos : The utterance of your tongue matches your looks. Kratos : Be softhearted then, but do not attack my stubborn will and my harsh mood. Kratos : There now, indulge your insolence, keep on wresting from the gods their honors to give them to creatures of a day. Are mortals able to lighten your load of sorrow? Falsely the gods call you Prometheus, for you yourself need forethought to free yourself from this handiwork. 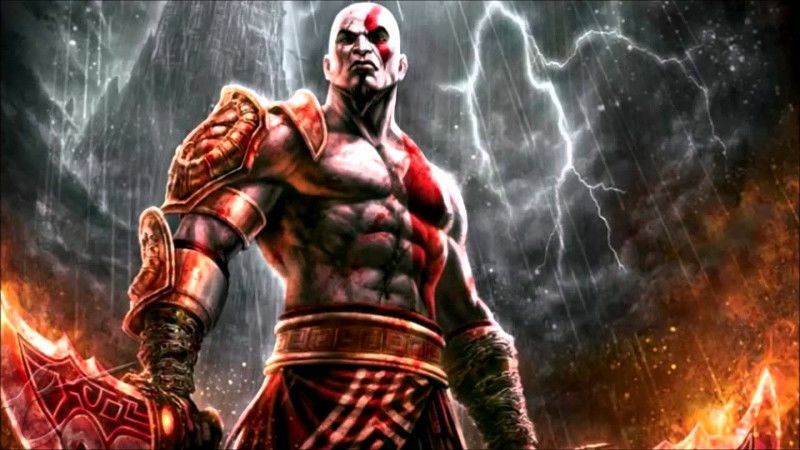 Though Kratos in Greek mythology was the god of strength, his name is probably most familiar in modern times as the main character in the popular video game series "God of War". Apparently the title "God of War" refers not to the character Kratos but to the Greek god of war Ares, who plays a role in the plot. 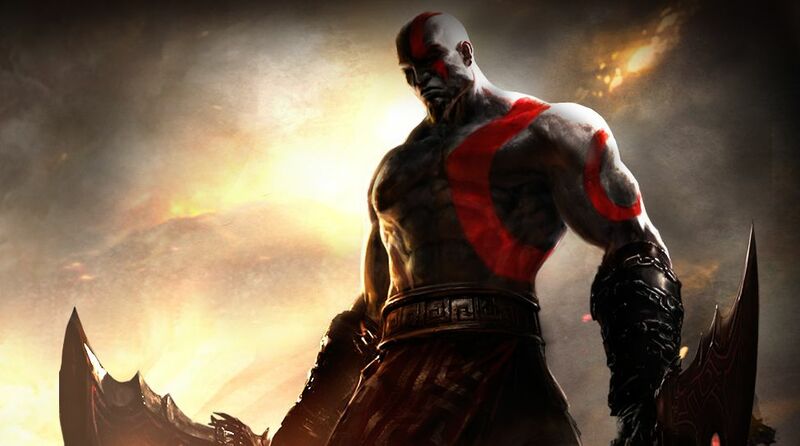 Though the character of Kratos in the series is supposedly not derived from the god of strength Kratos of Greek mythology, there are many indications within the game and its creation to suggest that the connection is stronger than one might be led to believe. 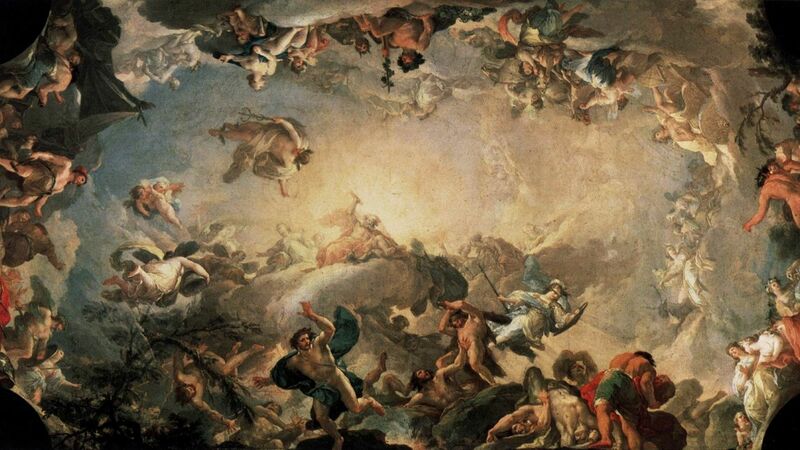 For example, the story takes place in ancient Greece and has many of the famous Greek gods and goddesses involved. 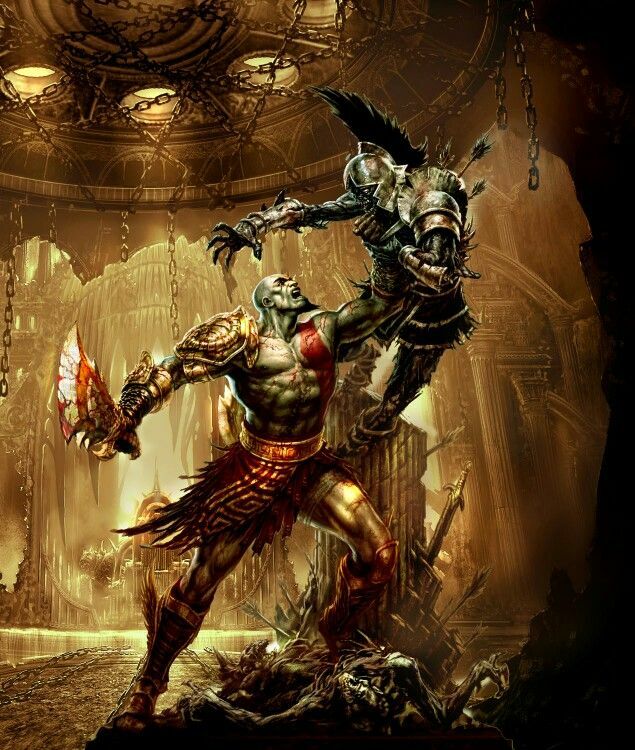 The character Kratos is a mortal who has a tenuous relationship with the gods, to put it best. But several of the characteristics of the character Kratos come from Greek myth. 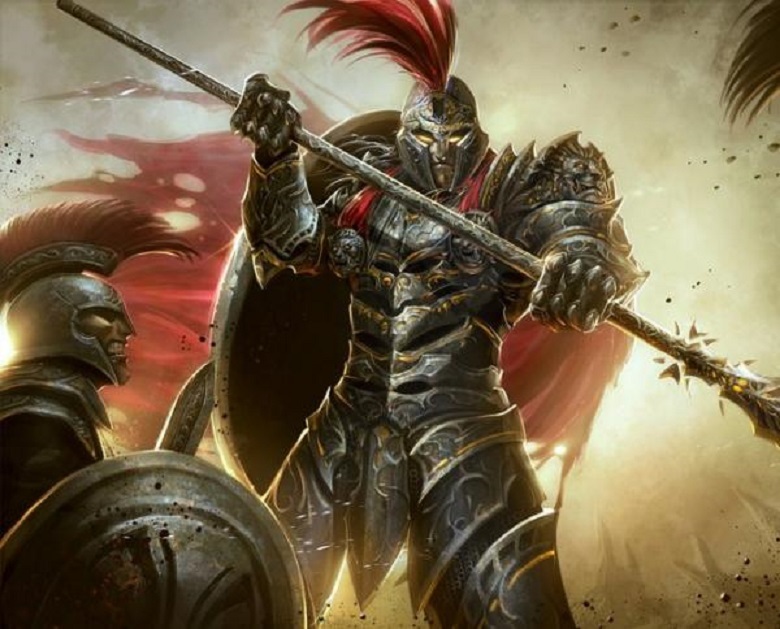 The designers themselves claimed that they wanted him to look as "Greek and brutal" as possible, which fits well with the imagery of Kratos of Greek mythology. More telling, perhaps, is the fact that chains are an important theme with the character, both in weaponry and in physical use. This could be seen as tying back to Kratos of Greek mythology's role in the story of Prometheus, at least according to the ancient poem 'Prometheus Bound' by Aeschylus. In 'Prometheus Bound', Kratos, on behalf of Zeus, tells the blacksmith god Hephaestus to chain Prometheus to the rocks of a mountain to serve his punishment for giving fire to the mortal world of humans.